12/24 hour, minute and second display. Alarm. Week day, month, date display. The Ziland Carabiner Stopwatch is a basic single display stopwatch with a carabiner clip built into the case to allow the stopwatch to be clipped to rucksacks or belt loops etc. Week day, month, date display. Counts up to 24 hours. Times 1/100th sec. Three buttons: split/reset, mode and start/stop. Includes LR41/AG3 button cell battery. 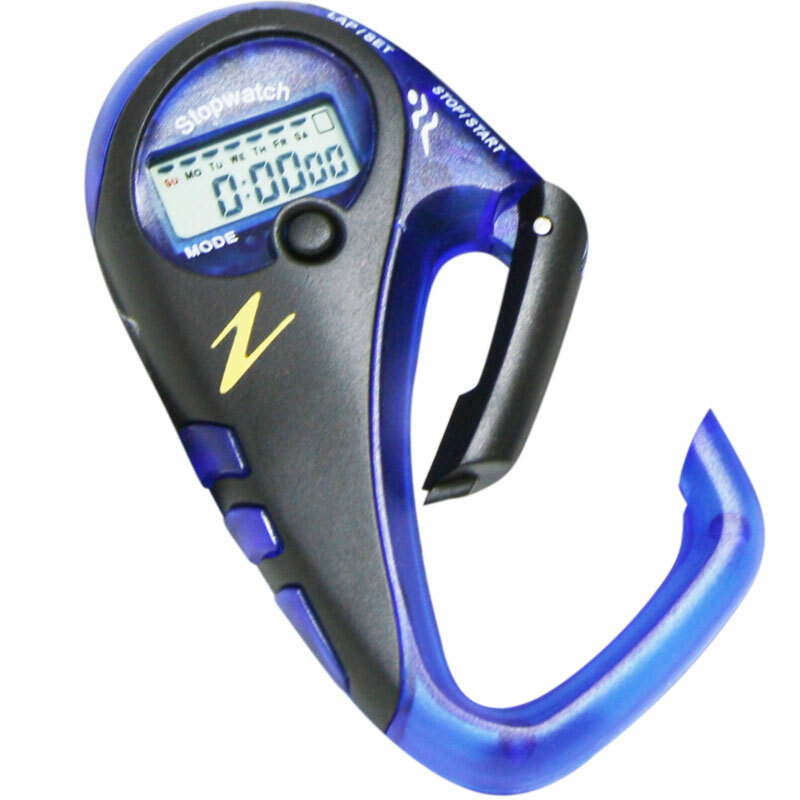 This stopwatch does everything that any ordinary stopwatch does but can also attach via its carabiner. Display is small like a casio watch but it's ok for its price. Ok, these things cost nothing so you get what u pay for: a cheap stopwatch. It works fine, but battery replacement is something of an adventure: several screws need removed then you pretty much have to dismantle the spring catch to get in at the battery itself. Good for what it is but easier battery replacement would be a sensible design feature. But, hey, it costs next to nothing. Excellent product for the money. Does exactly what it should do and delivery time was very good. Would highly recommend and will purchase again. I don't know how they do this for the price, it is exactly what I needed for timing football matches.